If your domain is pointed to our BasicDNS, BackupDNS (a legacy option), PremiumDNS or FreeDNS, you can configure mail service and MX records in your Namecheap account. 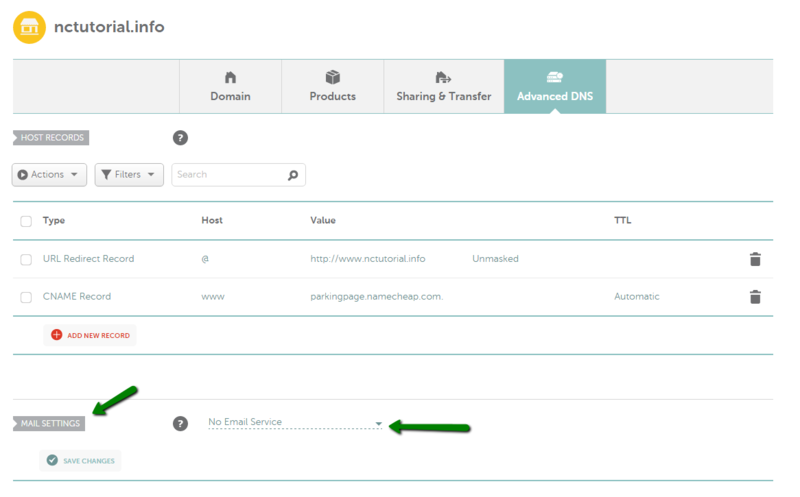 NOTE: Before setting up your mail service, be sure that there is no CNAME record created for a bare domain, (e.g., yourdomain.tld) in the Host records section, or email will not work correctly. CNAME has the highest priority and prevails over all the other records for the host name, including MX Records which are responsible for mail delivery. 1. 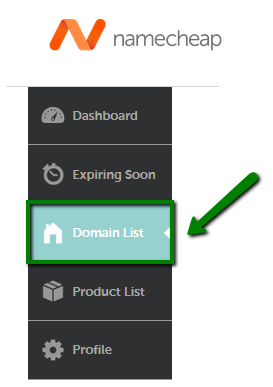 Sign into your Namecheap account in the top left corner of the page. No Email Service- if you wish to use no mail service. Your domain will have no MX records. Custom MX is used to set MX records for third-party mail services, like cPanel webmail service (if you wish to use cPanel mail service with default nameservers), Google Apps, Zoho mail, Outlook.com, etc. Once all necessary settings are selected, be sure to save changes. Normally, it takes 30 minutes for newly created records to take effect. If you have any questions, feel free to contact our Support Team.